A Workforce that is Flexible and Economical! At Back Office Pro we offer a wide range of audio transcription services. Regardless of your professional industry, we're here for you—radio shows, lectures, sermons, oral histories, voicemail recording, podcasts, online data, academic content, and more. We're proud to offer the best quality possible when you outsource audio transcription through Back Office Pro. Our team is comprised of specialized staff members who are highly trained and qualified in each of their respective fields of expertise. We're here for you. We know that each of our clients is different and everyone has unique transcription needs. That's why we always deliver exactly what each client deserves—a product that's customized to their exact specifications. Our clients are thrilled with the fact that they can contribute to the final product by giving guidance and feedback regarding their transcription's format and style. We promise to exceed your expectations. Contact us today to outsource your own audio transcription. Radio Show TranscriptionWe have extensive experience with radio show transcription, and we offer services for talk shows, news, and series among others. Lecture TranscriptionWe offer transcription services for classroom lectures, speeches, seminars and presentations, group discussions, media briefings, etc. Sermon TranscriptionOur transcription services can help you create faith-based publications, newsletters, emails, pamphlets, and church website content. Oral History Transcription You can receive oral history transcription services for book writing, speech writing, historical collections, and family history. Voicemail Transcription Our services include assisting you with data control and organization, improving your customer service, arranging for return calls, etc. Podcast TranscriptionWe can convert your audio into easy-to-read text, and help you improve your search engine ranking and satisfy customer requests. 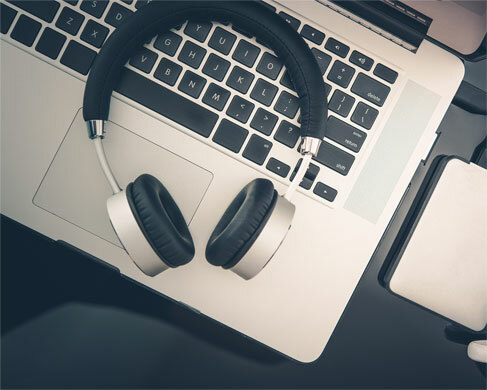 Online Transcription We can work on your workstations with VPN, or enter data on any of your online platform with wide range of online transcription options. Academic Transcription We have the educational background to handle your specific academic needs and offer transcription services for lectures, interviews, etc. We offer you a host of comprehensive transcription services ranging from audio and video transcription to legal and business transcription; you can avail of multiple services. Our services extend across industries and we accept projects from businesses and individuals from around the globe. We assign experienced and certified transcriptionists with typing, editing and formatting skills to handle your project. Our professionals undergo ongoing trainings from time to time in order to deliver you with the best services. We achieve 99% accuracy levels in our transcription. We can handle large volumes of transcription requirements in minimal turnaround time. We can transcribe files from multiple formats aac, avi, dss, mov,mp3, mp4, wav, wma etc., from any source whether CDs, or DVDs. You get to save up to 40%-60% over domestic transcription services by choosing us. Your can receive transcriptions in a minimum of 12 hours depending on the project type. "Thanks so much for your assistance with the service for translating my podcasts flawlessly that allows me to run an online community for business women part time alongside a full time business. Your quick and accurate response helped me to save time and money." “My experience with Back Office Pro has been very wonderful and would recommend their services to others requiring transcription services. Thank you for your great services and I look forward to continuing this fruitful working relationship in future."